In the past decade, distilleries, breweries, and cideries have been popping up in the Catskills and throughout the country. The Catskill Mountains Scenic Byway is lucky to play host to a handful of such businesses; but, one of our favorites has to be Union Grove Distillery in Arkville, NY. Union Grove has only been in business for two years. However, they have already become a favorite hang-out for locals and tourists alike. The owners, Brian Mulder and Todd Pascarella, are new to the business of distilling but seem to have started off on the right foot. At the moment, Union Grove offers three varieties of liquor. All three of these varieties are made with New York grown ingredients. Their Vly Creek Vodka is made from NY apples (pressed on the Hubbell Family Farm’s press – the oldest continuously operational cider mill in the country) and wheat. 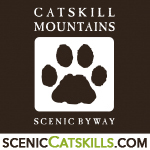 Their Catskill Mountain Maple Spirit is produced using local maple syrup from Tree Juice Maple Syrup. Last but not least, the distillery has recently released their much anticipated Drie Brook Rye. This small batch rye whiskey is made with rye grown less than 10 miles from the distillery. Talk about local! 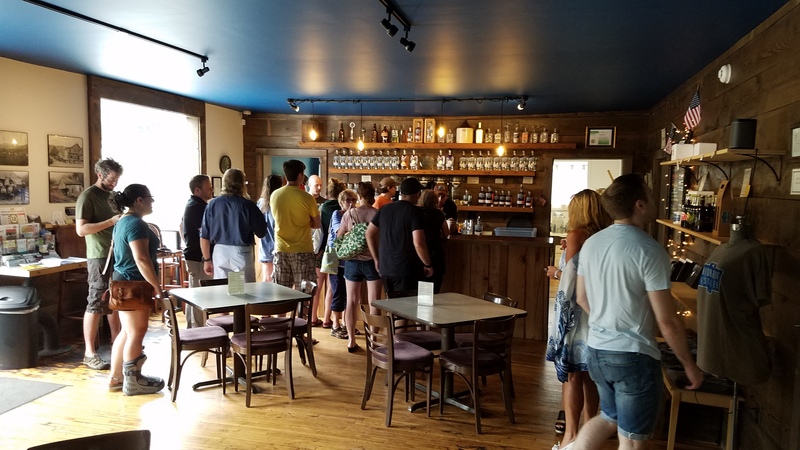 In addition to selling some fine products, Union Grove Distillery provides an inviting atmosphere to hang-out with friends and, possibly, listen to some live music. The staff are also happy to give you a tour of the facilities and run you through an overview of the distillation process. This is a truly unique chance to become intimately familiar with your favorite alcoholic beverages! 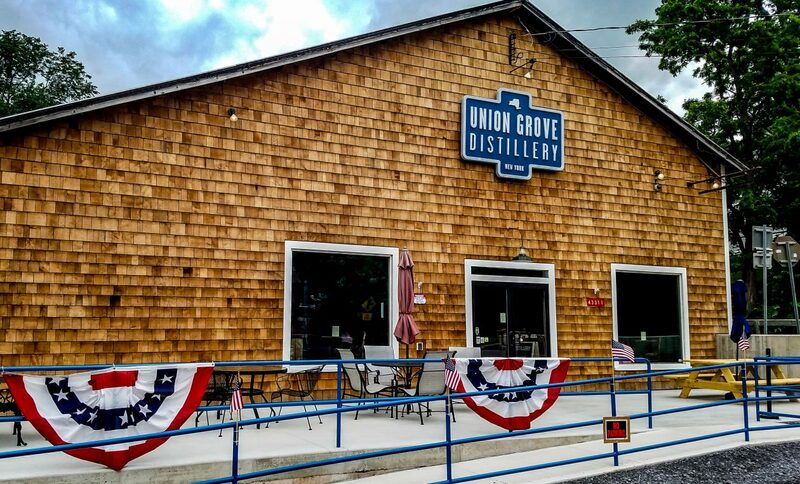 Union Grove Distillery is closed on Monday and Tuesdays; however, they are open 12-7pm on Wednesdays/Thursdays and 12-9pm Friday through Sunday. We encourage you to stop by, say hi, and try some unique local liquor on your next trip down the byway! As a part of Headwaters History Days, on Saturday June 9, 2018, the Hubbell Family Farm provided a demonstration of their 1870s era sawmill. 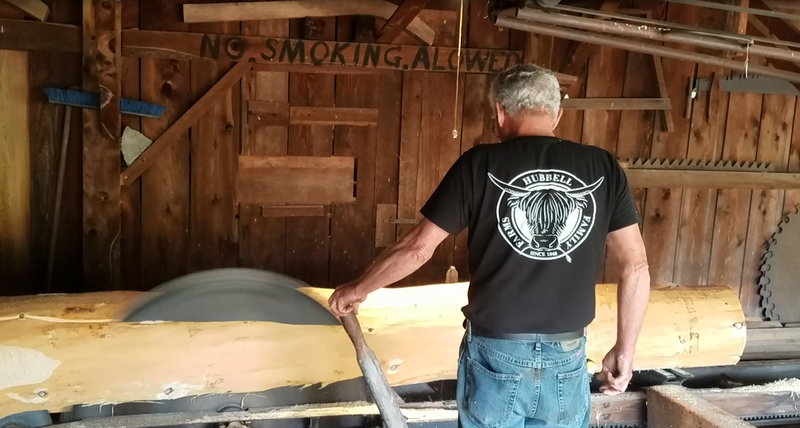 Although the sawmill is not open on a regular basis we highly suggest seeing it in action when you have the chance (such as this yearly event)! This sawmill was originally designed to be powered via steam. 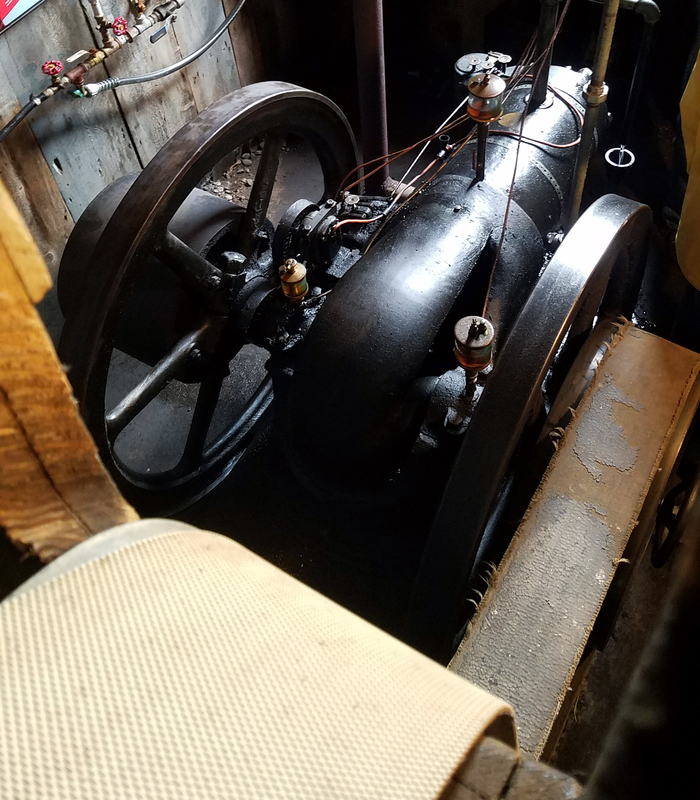 For the past century or so, however, Hubbell’s sawmill has been powered by the same single-piston water-jacket-cooled gas engine. This is the same engine which provides the horsepower that drives their locally-famous cider mill (which we may spotlight in a future post). Power is delivered to the saw blade via leather belts that are present throughout the structure. The entire sawmill assembly could be broken-down, placed on a couple of wagons, and transported to building sites. Most period mills required running water for their power. However, Hubbell’s steam-powered sawmill did not share this limitation and would have been much more practical in remote areas of the Catskills.